This was a really interesting article to be interviewed for by Voice of America, Washington, D.C.. In short, the practice of Feng Shui that was once banned by the Communist Party in China, is now reviving. Eastern and Western Feng Shui practitioners were interviewed about how they see Feng Shui influencing and expanding its reaches on a global scale. The spark for this discussion was due to the Chinese real estate tycoon Pan Shiyi winning a lawsuit around Feng Shui. When people hear the words, “Feng Shui,” most tend to pair this method of healing with the concepts of furniture arrangement. Some may expand on the discussion a bit further by saying its a form of energy and after that, the conversation tends to pitter out because it’s still perceived as a mysterious practice. And this type of response is not exclusive to the everyday masses. This perception of Feng Shui stretches into the healing community itself. Observing these interactions, it’s obvious the discussion of Feng Shui needs a new language or one that already exists to better educate and honor the integrity and value of this practice. Holding this intention close to my heart, I continued expanding my education beyond the world of Feng Shui, with a gradual interest toward Sound Healing. I’ve heard of Sound Healing, experienced it, and was so intrigued by the practice, I finally connected with teachers to help me explore it more in depth. What I learned from day one through my sound healing class surprised me in such a profound way, it’s provided me with the start of a new language in how to introduce and teach Feng Shui. On the first day of sound healing class, my teachers introduced the group to a sound healing exercise that emphasized listening. We listened to each others stories in how we came to be within the class and through this very act, it allowed us to entrain with the frequencies of our partner, the entire group, and our overall surroundings. Experiencing conscious listening provided me with a reawakening to the understanding of what it means to have a present mind and open heart, which inspired a new perspective on how Feng Shui could be introduced and discussed. Taking this new found inspiration and insight, I began reviewing various other healing methods and soon enough it became obvious. One of the very first foundations for any healing to take place, is to LISTEN. This could be translated in the most literal sense, such as by listening to what a person is saying and being fully present with them as they share their story. In the metaphysical community, we call this, ‘holding space.’ Holding space begins by listening to a person’s story without judgment or assumptions. You are simply listening, and that alone can be powerful medicine. In the practice of Feng Shui, this is the very first step before providing a consultation, let that be for an onsite or long distance session. I hold space for my client and provide a safe platform for them to share their story in regard to what intentions (reason for change) and challenges they wish to express. As they share, I listen, and listen, and listen. 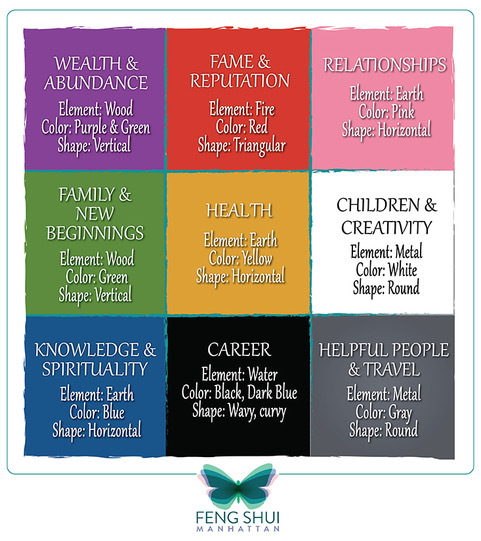 We go through the history of the home, to the first impression they registered upon entering into that space, to a more in depth review of the gua’s ( 9 life categories on the bagua map). With each story they share, another layer of awareness is peeled back and through that information gathered, it provides guidance on how to proceed with connecting to the consciousness of that person’s home. How so? The home becomes a metaphor of that person and their life experiences. By helping the client tune into the consciousness of their home, they intern have the opportunity to learn more about themselves. And through the ‘re-arrangement’ of items, the selection of specific objects, colors, and elements, they begin to create a new narrative of their life’s story. By them choosing to participate in making changes, this engagement encourages and promotes the groundwork for increased self-awareness, spiritual growth, improved self-esteem, stronger healthy levels of assertiveness, and so much more! Much of the changes depends on the clients intentions and reasons for expressing the need to change. Feng Shui-ing their home allows for a safe space to practice these changes and maintain that support. Remember the word, maintain - to care for. Feng Shui is not a one time ‘fix.’ It requires nurturing, sometimes even digging deeper and sifting through some heavy hitter topics that could be keeping you stuck, while providing assisted support in having the courageousness to face them head on. You may also need the assistance of other healing practices (let that be western or eastern). To put this discussion in a more tangible way, ask yourself, do you maintain and care for your own body? I hope so, because your body is constantly changing. The body you had at 20 years of age is different from a body at age 50. It requires a new sense of awareness to help operate it at its optimal levels. This is the same for your living and working environments through the lens of Feng Shui. As you grow and transform, so will your surroundings and the consciousness of your home and self, as nothing is separate.